The Food Alphabet and More: Sign your kids up for the bigger and better McDonald's Kiddie Crew Workshop! Now on it's 25th year! 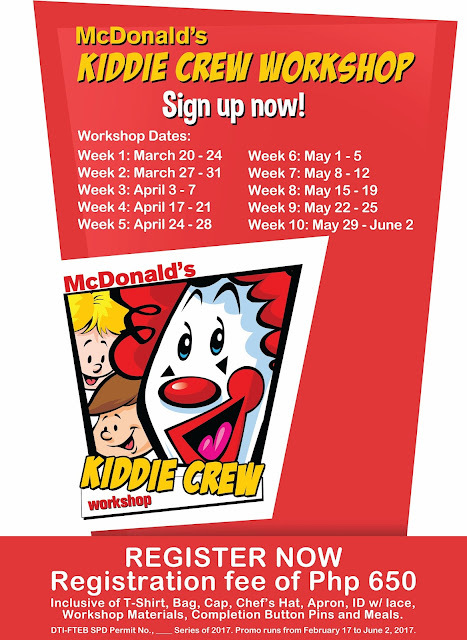 Sign your kids up for the bigger and better McDonald's Kiddie Crew Workshop! Now on it's 25th year! Summer is the perfect season for letting your kids learn and experience new things, and with McDonald’s Kiddie Crew Workshop, they can do just that!